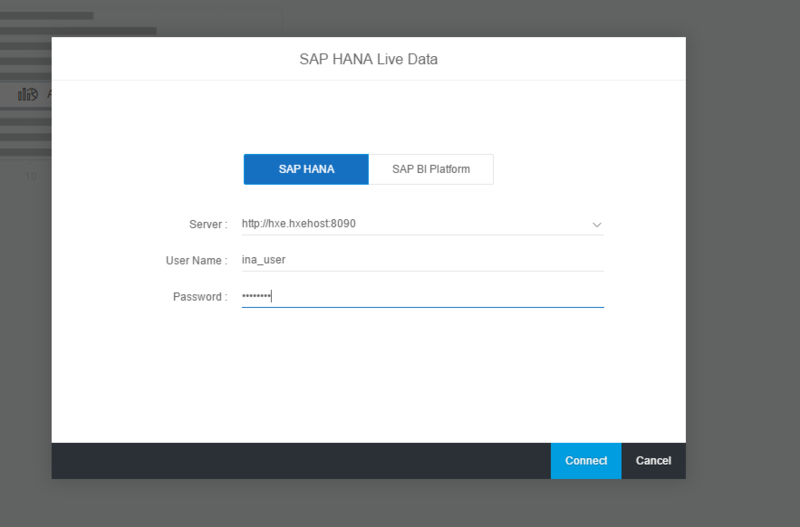 This previous post explained how to install the EPMMDS plugin to consume information views from tools like Lumira, Analysis for Office or anything that uses the Information Access (InA) service to et live data from HANA (express edition, in my case). Following are some steps to create and consume information models using modelling on XS Advanced. We assume you already have a system with XS Advanced installed. If you don’t, you can get one from any of these options. I will assume you will want to create a new space to develop on the tenant database, so that will be the first step. Well… where else would you create a space on HANA; right? You may wonder what a space is and I’ll try to make it short: This concept is inherited from Cloud Foundry and refers to a group of resources (applications or services) visible to each other. You can have different roles in a space (Auditor, Developer, Manager) and could use, for example, different spaces to isolate different projects. A space belongs in an organization, together with other spaces. Do you have your new space? Is your developer user assigned as a developer to that space? Another very simple task that also requires admin rights. When you go into Web IDE to create a new multi-target application, you will be asked for your space. 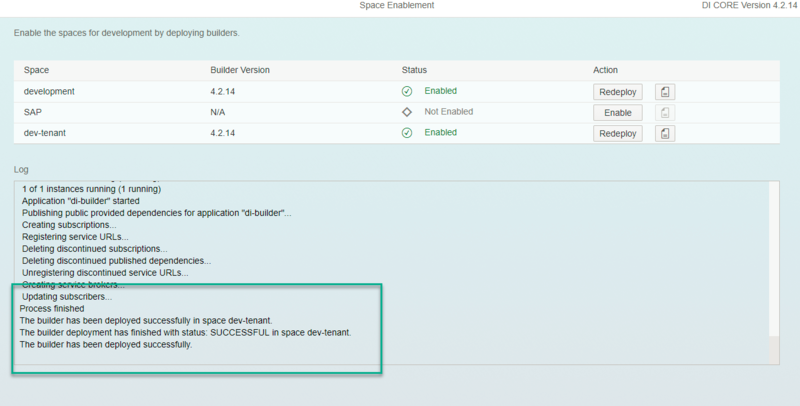 Linking a space to a tenant database allows you to develop on that tenant. You need the tenant in this case because, as of now, you are running the InA service through the XS Classic engine, which is now by default embedded in the index server. Speaking of index servers, guess who does not have its own one? The system database (systemdb)! In the system database, the name server covers the index server in only some of its functions, but not all of them. 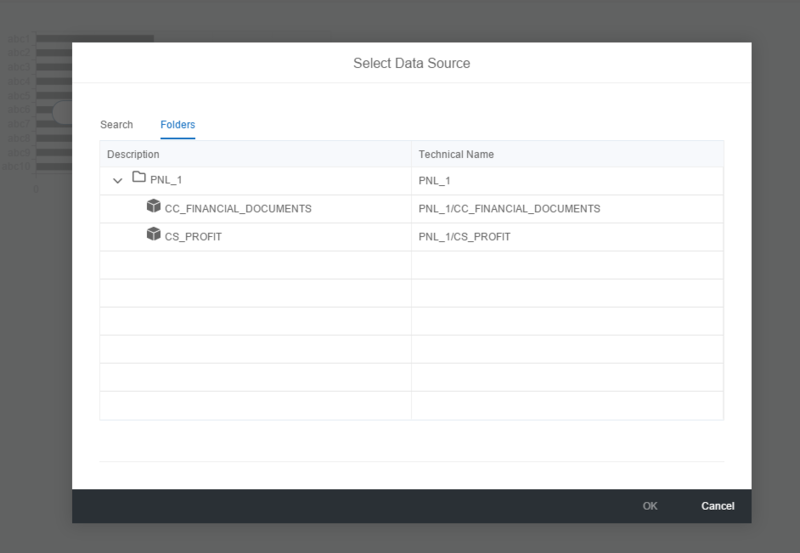 If you want full SQL capabilities and some cool stuff like predictive analytics or smart data streaming, you need a tenant database. That’s actually where your application development should be happening, anyways. This mapping will be handy for those scenarios too. You can right-click on Workspace –> New –> Project from Template. You will be prompted to choose your space. If you’ve done it correctly, you should find your space on the list. You can also clone an initialized repository from Github (as explained in this very simple tutorial) to create a new MTA. In my case, I had already created an MTA with a database module and nothing else (if I had created, for example, a UAA service instance on my original space, i would have needed to create it in my new space). So I could just right-click on the project –> Project Settings. There I chose my new space and rebuilt the app. Coming from years of modelling in HANA Studio, and just like any other human being would, I had an adaptation period of like… two hours. In terms of modelling, there are some new features that clearly make life easier and change, in this case, was easy for me to embrace. Here are two tutorials explaining how to create dimension and cube calculation views on Web IDE on XS Advanced. Those guys ( #DI and #OO) are the owners of the schema and its objects. They have no problem accessing the schema and executing views. You would generally create an analytic privilege (now called structured privilege) to use with a role. I’m skipping that part because it’s my party and I access it all if I want to. If you create one, you will need to assign it to the technical user. I will create a separate user to use from the reporting tools and grant a more restricted role to it. There are more step-by-step, free tutorials on XS Advanced development and Lumira at the Developer Center. Happy modelling and let’s stay in touch on Twitter or on LinkedIn! I initially had problems with it, but once the role assigned was done, everything worked like a charm. 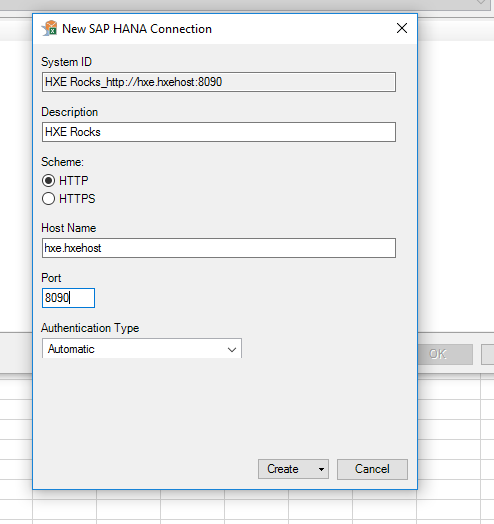 I am trying to connect to a cloud foundry hana instance to consume Calculation views from external world. I was able to deploy the models and a role file from hdi as mentioned in the blog above. But i am unable to assign these roles to the db user that i created. i get an insufficient privilege error. i have logged in with the system user credentials. Is there anything that i am missing here? I’m facing the same issue like you. Did you find a solution? Hey, sorry I missed this. I have not tried this scenario. I could try to reproduce it soon but you have better chances of a faster response in the Q&A. Lumira used to connect only _SYS_BIC schema from lumira app. 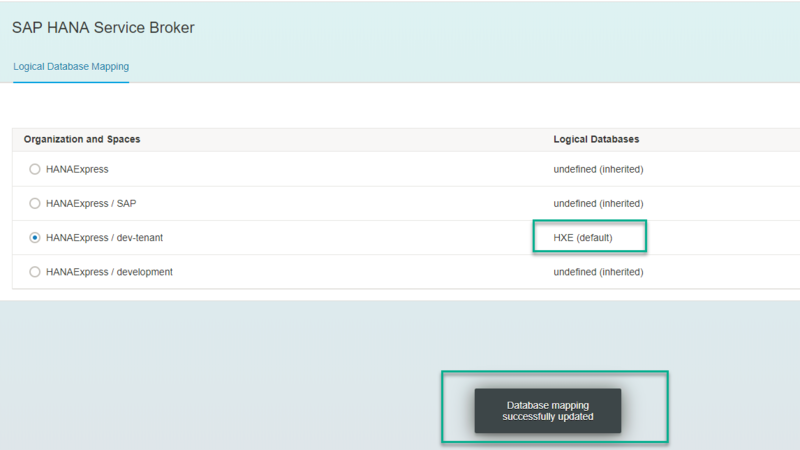 But in this blog post I see that you lumira directly connecting to HDI DB directly. Can you pl. clarify if this is a new feature added in lumira? 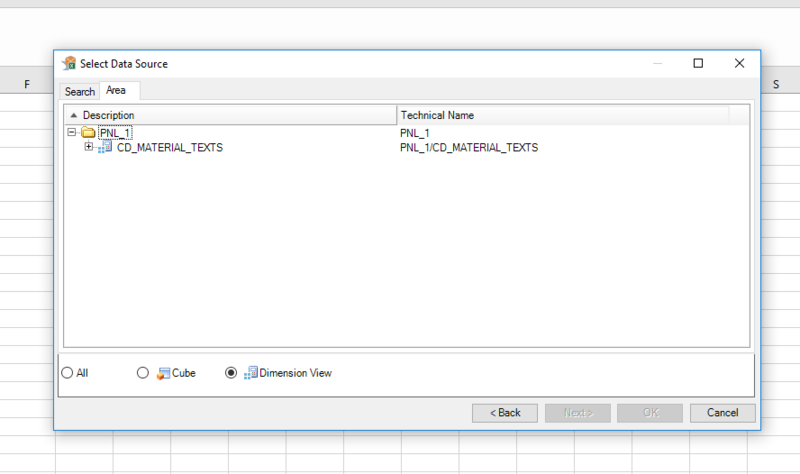 Also if lumira directly connects to schema generated by HDI, this schema name is dynamic and changes everytime? so How lumira documents are going to handle this? @Lucia – I am having multiple views in different folders in my MTA container. However, only 1 view shows up in the AFO. In HANA studio, when I look into the schema, I find that only one view is showing up in the Column views area whereas in the “Database explorer” I can see tons of views. I am not sure I understand the problem or how HANA Studio is related. Please post questions with enough level of detail in the Q&A. You will get a faster response as there are more of us there to help. Hi Sunil, I replied on the other blog. Nice blog Lucia. I was actually looking for some information on when the next version of Lumira will be able to access HDI containers but this is a recent enough blog and looks like a good short-term approach for me. On a related topic for HDI and XSA, do you know how easy or difficult it is to set up a DP Agent for use with SDI to an XSA HDI Container’s DB Schema? I’ve got this down to an art in XS Classic, but I’m considering taking the “plunge” into HDI if this is viable currently. Very informative blog Lucia, thanks! 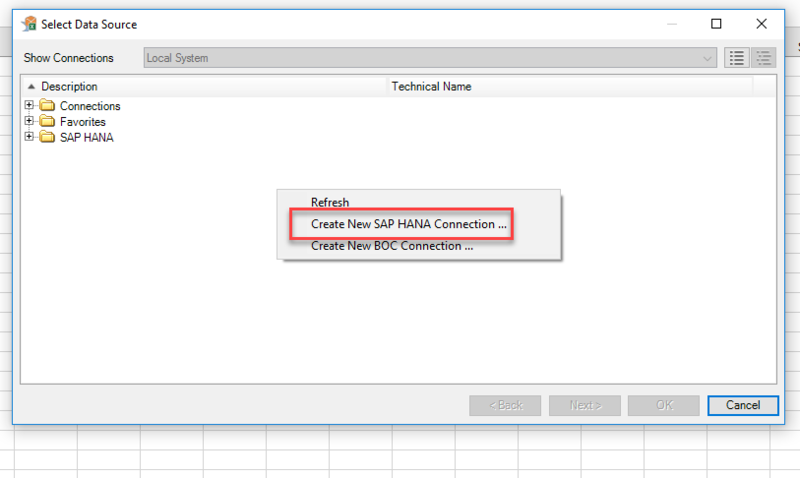 Have you ever tried consuming Calculation Views from XS Advanced in ERP/S4HANA? I’ve tried but no way 🙂 Calculation Views appear as a transient provider as before but they dont work. It’s still looking at _SYS_BIC schema to select the data. With XSC we were able to view the calculation views as a transient provider or directly in RSRT. I think same feature has to be revised for XSA Calculation Views.